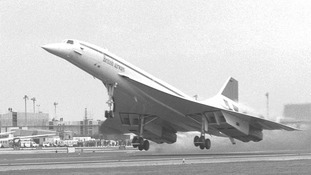 Concorde is to get a permanent home. South Gloucestershire council has granted planning permission for an aerospace museum at the former Filton airfield, near where the iconic jet was made - and made its final touch down in 2003. World War I hangars are to be refurbished to provide an indoor exhibition for the supersonic aircraft. They will also house the Bristol Aero Collection - the trust has been awarded a £4.7m Heritage Lottery Fund grant for the project. Finding a permanent home for Concorde at its birthplace in Filton is fantastic news for the people of South Gloucestershire and for the iconic aircraft which will be preserved for future generations to enjoy. Once up and running, the museum is set to become one of the most popular visitors’ attractions in the West, bringing many economic benefits to the region while celebrating the history of the aerospace industry past, present and future. A new aerospace museum in South Gloucestershire has been awarded two million pounds. The sixteen million pound project will provide a new home for Concorde. The money from the LIBOR fund was announced in yesterday's budget after a campaign led by Filton MP Jack Lopresti. Bristol Aerospace Centre will be built on Filton's historic airfield site.